Sponsors of adults and older children present their candidates and thereby signify their endorsement of the candidates and their intention to support them by prayer and example in their Christian life. Sponsors of infants, commonly called godparents, present their candidates, make promises in their own names, and also take vows on behalf of the infant candidates. Holy Baptism is especially appropriate at the Easter Vigil, on the Day of Pentecost, on All Saints’ Day or the Sunday after All Saints’ Day, and on the Feast of the Baptism of our Lord (the First Sunday after the Epiphany.) However, if you wish to choose another day, please contact our pastor, Father Carr. Baptism is membership in the Body of Christ, the Church. 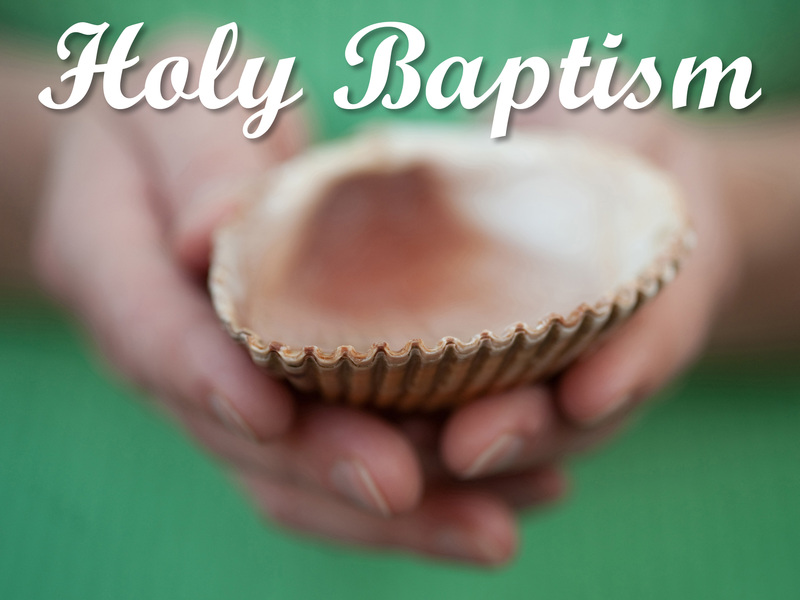 All baptized persons are invited to receive communion and participate fully in the life of the Church. Here at St. John’s, all baptisms are public services of worship. A great reason to gather and celebrate the life of our church and the life of Christ! There are no private baptisms celebrated, unless it is an emergency situation. All baptisms require preparation. For adults, this means meeting with Father Carr or another designated person for an inquiry into the faith of the Church and the person’s faith. For children and infants, this means the parents and godparents meeting with our priest or other designated person for an inquiry into the faith of the Church and the rearing of the child in this faith. Baptisms done with water in the Name of the Trinity in any Christian denomination are not repeated within the Episcopal Church. If there is a question about whether or not one has been baptized, then there can be a conditional baptism discussed with our priest. Baptized persons eighteen years of age and older are eligible to vote in parish elections (the age is determined by New York State Religious Corporation Law), become members of the Vestry, and hold other elective offices (other than Wardens). Please see the priest as far in advance as possible of a baptismal date if you wish to be baptized, or if you have a child to be baptized. The Episcopal Church is part of the worldwide Anglican Communion. Members of the Episcopal Church are welcome to receive communion and participate in the life of other Anglican Churches around the world, and, in many instances, with Lutheran Churches that are part of the Lutheran World Federation.